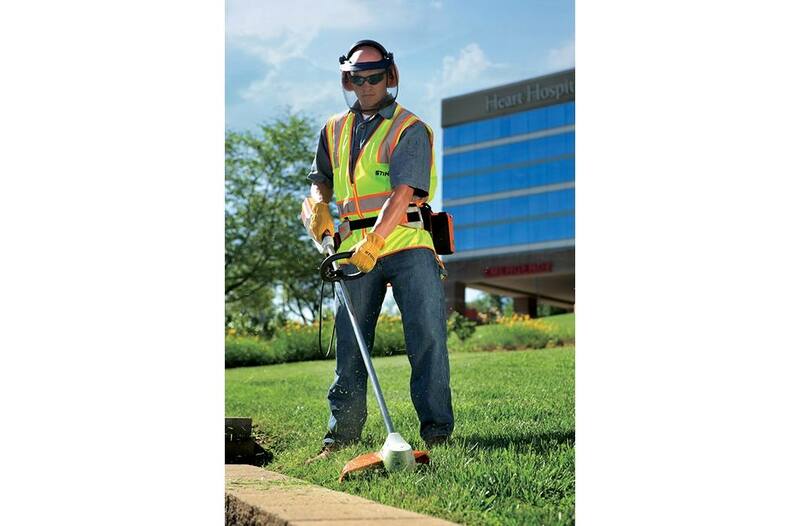 This battery-powered straight-shaft trimmer delivers the cutting performance needed for professional landscaping tasks. Batteries & chargers can be purchased separately or as a combined set with tool. Note: Batteries and chargers must be purchased separately. So powerful and light, it feels like cheating. The STIHL FSA 85 professional trimmer gives landscapers the ultimate tool for working in densely populated and noise-restricted areas. Powered by 36-volt Lithium-Ion battery technology, this grass trimmer is five times quieter than the STIHL gasoline-powered equivalent. 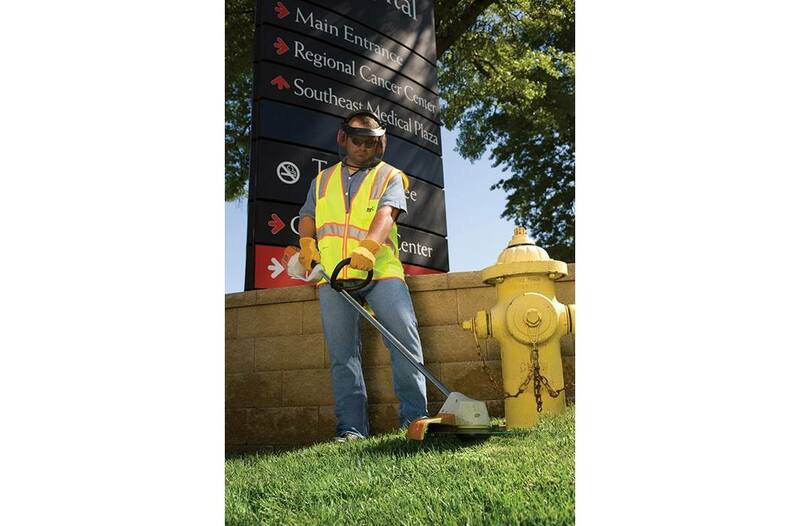 And with no need for gasoline, the trimmer eliminates all fuel costs and has zero exhaust emissions - ideal for use in close quarters and municipalities looking to go green. Better yet, no power cords. 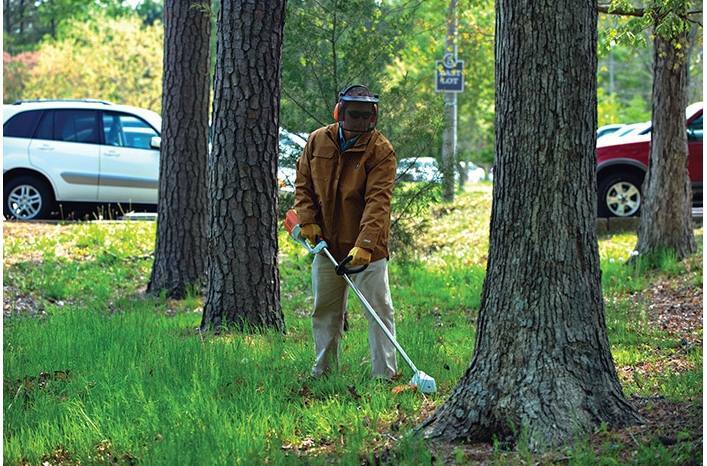 STIHL Lithium-Ion trimmers continue to run at full capacity, even as the battery drains. You can expect nothing less than 100% performance from the FSA 85 until the battery is completely depleted. 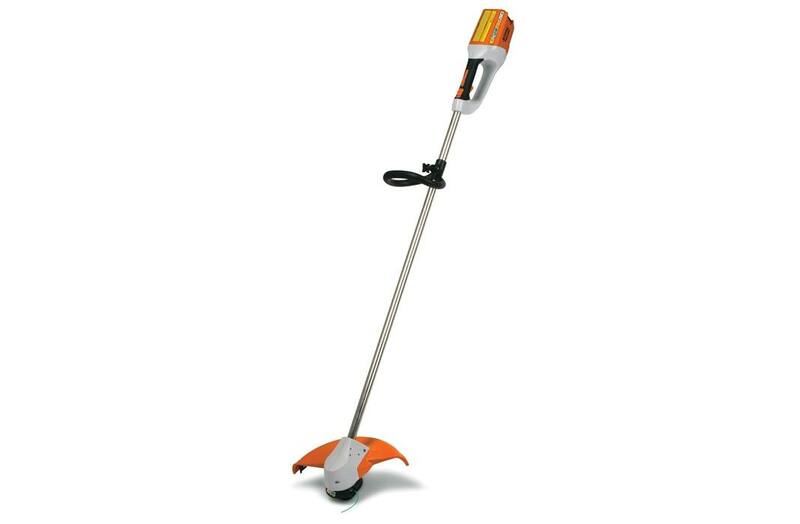 The trimmer is also balanced and lightweight, delivering excellent cutting performance and low vibration for easy, smooth operation. Its variable speed trigger allows you to control cutting speed on the fly, so you can maneuver easily around delicate plantings. And when you need to spot trim, this trimmer instantly starts up with the pull of a trigger. Batteries & chargers can be purchased separately or as a combined set with tool. Run time on a single battery charge can vary and depends on the battery type, charge level, tool model, operating conditions, and the user's operating style. Hanging Loop: Hang your cordless trimmer securely on a wall to save space using the loop in the handle housing. : See it in action! Retaining Latch: All STIHL Battery powered products feature a retaining latch that is designed to prevent the unit from unintentional starts when the battery is inserted. : See it in action!